I liked the Skyracer 3.5. When the wing broke in a crash I decided to make a new wing for it. But I did not want to spend time on something just to restore it to how it where before the crash, I wanted to try something new. By making a bigger wing, I hoped to give the airplane a lower stall speed and better gliding characteristics. 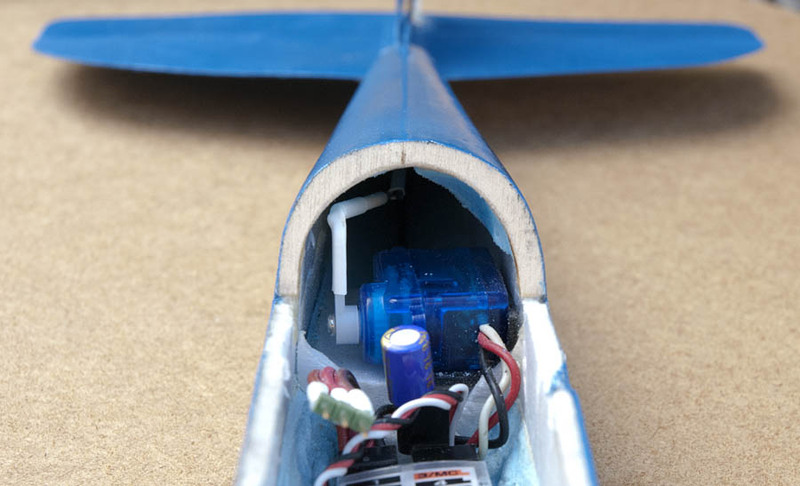 The fuselage is exactly the same as the Skyracer 3.5. The new wing is built exactly the same way as the old one. It consists of a foam core reenforced with carbon fibre strings and grass fibre on the surface. Everything is spray painted blue. 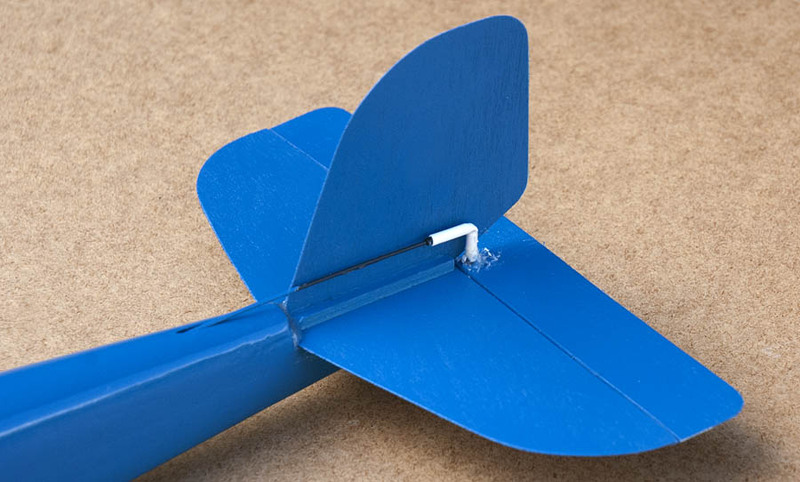 The airplane uses only one aileron, exactly as the Skyracer 3.5, however, I had to make the aileron bigger than I intended first to make it possible to control the airplane. 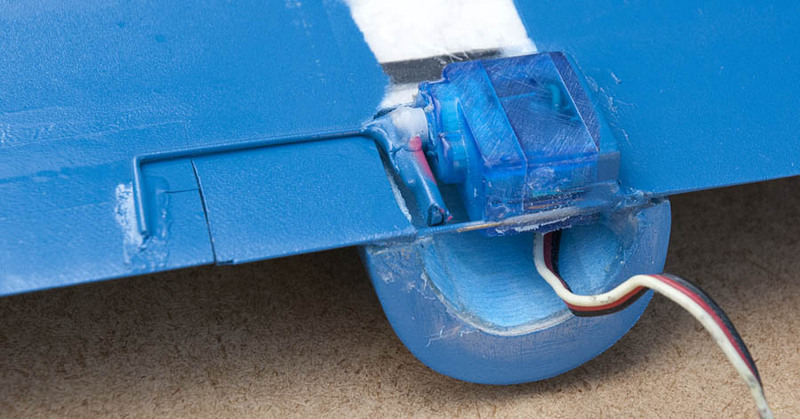 To keep the linkage for the aileron as compact as possible the rudder is mounted directly on an extension of the servo shaft. With the new wing, the airplane has a top speed that is noticeably lower than before, but the lower speed characteristics are a lot better. The airplane also glides better, and that makes it possible to cruize around at a relatively fast speed with very little throttle. 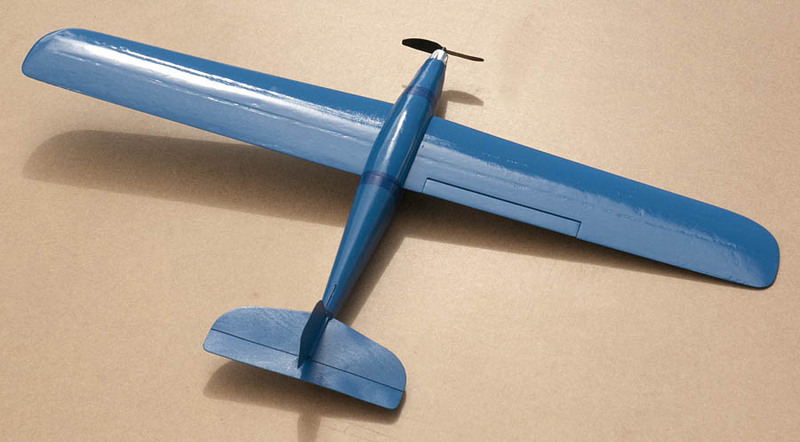 The new extended aileron. 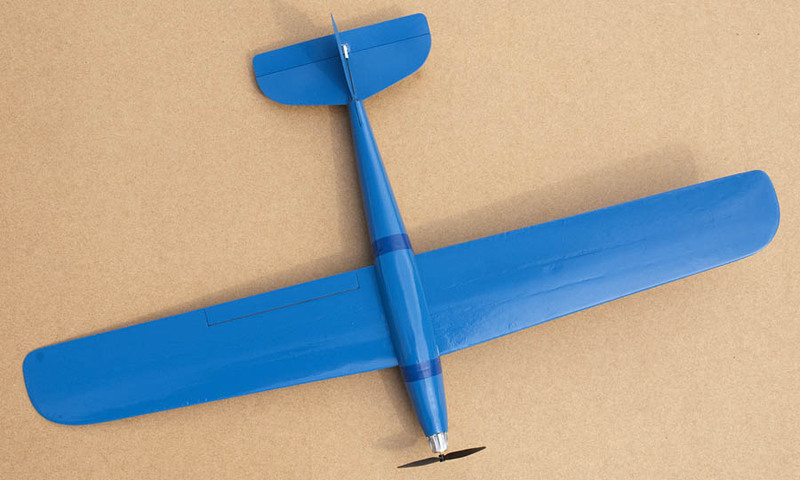 The original aileron size was to small to make the airplane roll as fast as I wanted.